Four or five years ago, we had to have a tree in our yard cut down. We asked the arborist to chip the smaller branches, and we used those wood chips in our garden to mulch the paths. A year later, we discovered the documentary, Back to Eden, about Paul Gautschi and his method of wood chip gardening. We were intrigued, and as I looked at the paths in our garden I noticed that as the wood chips mulch was decomposing, the soil was becoming black and gorgeous. We’ve been mulching our garden with hay, leaves, and grass clippings for many years, but thought that it might be worth experimenting with garden wood chips. We’ve had some amazing results, as well as some dismal failures. 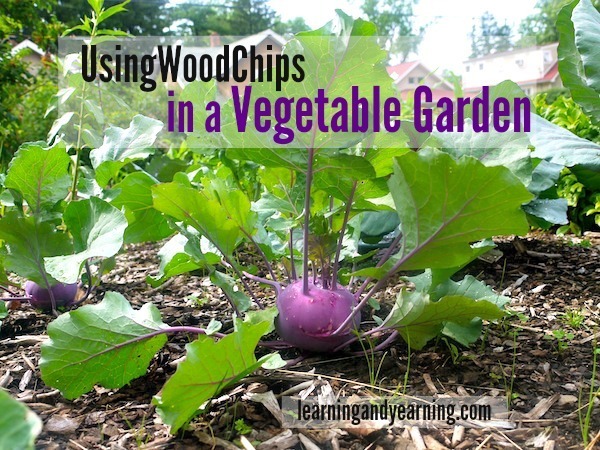 Here’s some of what we’ve learned using wood chips for the garden. Before we began wood chip gardening, we used chips in our paths. Notice how black the decomposed chips have become on the right of the path. 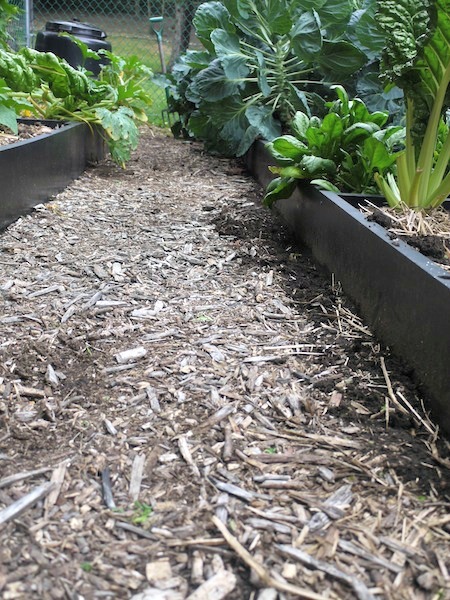 First let me say while I am a firm believer in the benefits of mulch in a vegetable garden, I don’t think that any one method is the end all, or right for everyone. The best mulch that you can use is the one that is available in your area for free, if possible. For us, wood chip mulch, grass clippings, and leaves from our own yard are available for free. We can often find spoiled hay relatively inexpensively, or even free. We use them all. By the way, here’s why I use hay, and not straw in my garden. I wanted to discuss wood chip gardening and using wood chip mulch because somehow it seems to have become a controversial topic online. Even some of my favorite bloggers are dismissing it. Often, the people who are disparaging wood chip gardening have not tried it, or as you read how they are using it, are using it incorrectly. I will say this from our experience – of all the mulches we’ve used, wood chips are the least forgiving. They need to be used properly, or can cause disaster. It is true that there is a nitrogen deficiency at the point where mulch and soil meet. It is important to plant below this level. Wood chips should not be dug into the garden for this reason, but only used as a mulch on top of the soil. I personally like to use a high nitrogen amendment like blood meal just below the mulch. Source. TIP: if you are able to get wood chips that include branches with green leaves, those leaves are also a nitrogen source. According to a 1971 Cornell bulletin, a 15 year study using wood chips was conducted on a farm in NY. In some areas, wood chips were applied as a mulch, in others, the wood chips were plowed under. Other test areas included traditional methods of farming and using cover crops. Over time, nitrogen levels in the soil increased in the areas where wood chips were used as a mulch. Source. We ask our arborist for “ramiel” chips – those that are from branches under 6″ in diameter, and which also contain leaves. I don’t buy the “annuals prefer bacteria, perennials prefer fungi” mantra, since I’ve seen nothing in published literature to support it. In fact, it’s well known that many annuals, including vegetable crops, are mycorrhizal, so I think this whole “bacterial soils for vegetables” thing is bunk. Basically, all non-grass species are mycorrhizal. Nearly every plant on this planet benefits from fungal connection. Most annual vegetables and flowers have to be included here as well . . which suggest the entire concept of “bacterial gardening” is far too simple a construct. As the wood chips are decomposing, the ph of the chips may be acidic. This won’t affect the soil below the mulch, and once the wood chips decompose, the soil it produces will not be acidic. There is no scientific research to support the idea that mulches such as wood chips affect soil pH. Source. Yes, we have had problems in our wood chip gardens. In every case, however, we were the problem, not the wood chip mulch itself. As I mentioned, wood chips as a mulch are not as forgiving as say, hay. Mulch too deeply with hay, and you won’t likely have any problems. Maybe your soil won’t warm as quickly in the spring, or you’ll have a problem with slugs in a particularly rainy year. No matter what mulch you use in a no-dig garden, it will need to be pushed aside at planting time so that you can plant your seeds, or seedlings in the soil, not in the mulch. Deep wood chips are very difficult to push aside. Not so with hay. Hay, of course, needs to be replenished much more quickly than wood chips and for us, often comes with a dollar sign attached. I have found that 2 – 3″ is just right for wood chip mulch. Most of our problems have resulted from mulching too deeply. In addition, according to this source, “wood chips that heat up and partially decompose can produce volatile organic compounds that inhibit seed germination and plant growth.” I have found that to be true. Seeds, especially small ones, that have planted in the layer just between the soil and the mulch (partially decomposed chips) don’t germinate. This can be a plus, since weed seeds also don’t germinate. These 4 acorn squash plants, grown in a wood chip garden, produced over 50 squash. We have found that all seedlings have done just fine, planted in the soil below wood chips. Also, any larger seeds that are not spaced closely seem to love the chips. For us, it has been too difficult to push all of the chips away for seeds that are closely spaced, like carrots. Squash does particularly well in wood chips. Our carrots, beets, spinach and onions have not done well in our wood chip garden. In all cases, I suspect I did not move the mulch enough and planted in mulch rather than in soil. Mike planted some onion sets around our apple trees a few weeks ago, in a wood chip garden. He was particularly careful to plant them in soil. We’ll see how it goes. I suspect that as the years pass and our wood chips fully decompose, planting small seeds like carrots will not be a problem. In the meantime, I keep some beds mulched only with hay or leaves, and plant these types of seeds in those beds. I think that the beginning can be the hardest for this type of garden. The mulch is not yet decomposed, providing the soil with its rich store of nutrients. 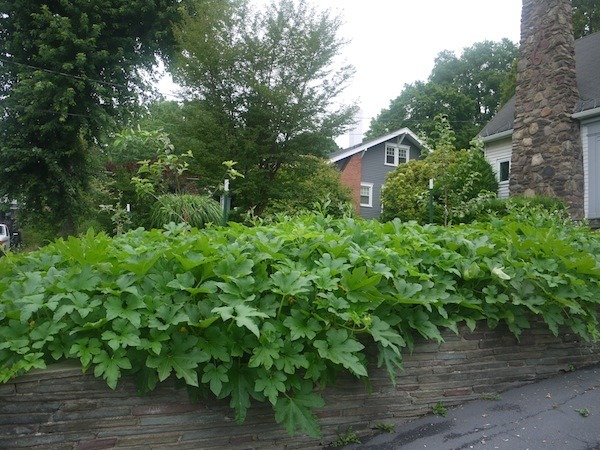 Paul Gautschi has been gardening this way for over 30 years. His soil is rich and deep. In the 15 year study I mentioned earlier, yields, in general, were highest in the plots that were mulched with wood chips. The method clearly works. If you’re wondering if wood chips can be used as mulch for gardening, the answer is a resounding yes! It is generally recommended when starting a new wood chip garden to layer a few inches of compost on top of newspaper, and then a few inches of wood chips on top of that. Seeds and seedlings are then planted in the compost layer. I’ve mulled this over quite a bit and have come up with a method that solves some of the beginner problems and provides a richer base for planting. 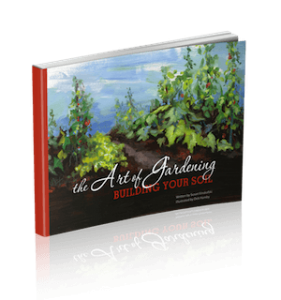 I have basically combined lasagna gardening with wood chip gardening, and have detailed that method in my eBook, The Art of Gardening: Building Your Soil. What’s your experience with wood chip gardening? I’d love to hear about it in the comments. Plastic Mulch in a Garden: Friend or Foe? Yes, I think a lot of us were a little too enthusiastic after watching Back to Eden. We will definitely move forward with chips in our garden, but with more caution. I was re-reading some things on the Back to Eden site and saw something that I had previously missed. Paul G. has a place to store chips, and only puts composted chips on the garden, never fresh. Paul uses that method ( finely ground or composted chips) ( in the official film they are called screened) now to top his chips because he likes the texture. You see him load them into his truck in the movie- But, He originally did and said many times, “just put the chips down and walk away.” Fresh or not. You CAN use fresh chips. Please go back and watch for yourselves, and listen carefully. This does take time. You can use a first layer of decomposed chips as a base, or other materials that are broken down first, then top with chips. Both methods work. It takes a couple years for the chips to begin breaking down well and that os why he recommends you can use a layer of composted materials under the chips to speed things up. And, lets mot miss the MAIN POINT he made consistantly throughout the film, and that is to ASK GOD ! People, he told us all this over and over, so simply pray and the Lord will show you waht to do. Thatbis the biggest thing with this whole garden stuff. It is that a man asked God and He showed him how, and continues to. See how many examples Paul did stuff even though the Lord told him in the spirit something else? And Paul told us just ask God. So ther you go ! Hmm… I might just have to try this! Thanks for the great article, Susan. For the first time we used some chips in our garden. I’m not sure we did as well as could be as we didn’t know the proper way of using them. We wanted to also cut even more of the weeds as it is getting harder every year to weed. Any info on keeping bunnies away?? Last year was sooo bad. Winston planted some things multiple times but they got 85 0/0 of the wee plants. Hi Debbie, we’ve had lots of problems with animals pulling seedlings out of the ground and have had to plant and replant. Our problem, however, is with chipmunks. They pull the plants out for the seed and leave the plant to die. What we’ve done is time consuming, but works. Mike has built little cages out of chicken wire and we put one over every seedling. We remove the cage when the plant gets a little larger – the chipmunks leave them alone at that point. This should work for rabbits as well. We’ve tried sprays that are supposed to keep animals away. We find they work for deer, but not other critters. Jennifer, I don’t like bird netting for that reason. While the chipmunks are little devils, I don’t want to see them getting caught in the netting. Wow, I’m glad I saw this, I just found that something is digging up my peas, and I think you just gave me the answer. Are you familiar with the square ,green plastic grid ,baskets that some fruits, mostly berries, come packaged in? If you turn them upside down on your seeds or very young seedlings they will grow through the basket and prevent critters from digging under them. Use chicken wire around your garden. Rabbits can’t get to your garden. Or get some outdoor cats. This is all such wonderful advice! I have only used wood chips around my fruit trees, and they seemed to really benefit and thrive. I live far out in the country, and a wood chipper comes by every other year or so to chop all the trees that grow too close to the roads. I “steal” wood chips by the bucketful! Haha! Your garden’s gonna love it as long as you don’t mulch too deeply. Over time, you’ll build great soil. By the way, I just discovered your blog yesterday – it’s great! 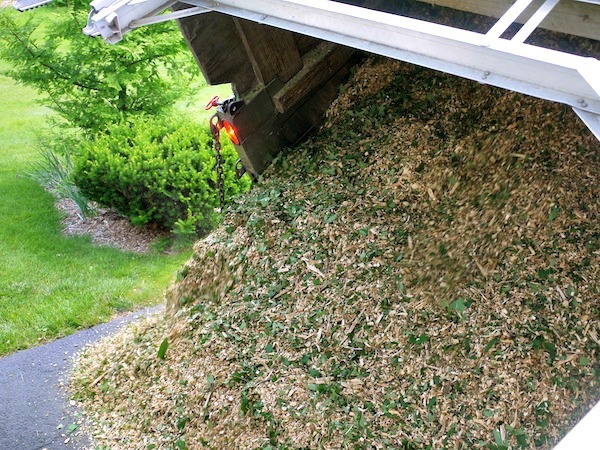 If you can catch the wood chippers, they might dump a load on your property for free! Around here they are always looking for places to dump. Worth a try. I tried using wood chips (undecomposed, missed that part in Paul’s movie) in my annual bed – doing like he said – 4 to 6 inches deep. Then I tried to move the chips aside to get the seedlings and seeds into the soil below. There just wasn’t enough room to get the chips out of the way and kept falling into my soil, and getting mixed in. Where I kept the chips off the soil all season, with little mountains of chips to both sides, they did OK. But it took up so much of the space I decided it was very comparatively non-productive. Then I tried pulling the chips aside and putting them in buckets to make a row or area to plant. But that was so labor intensive, and then I’d have buckets full of wood chips sitting around gathering rain water all season. So, I discarded that too. Then I tried putting just 1″ of chips on the beds but invariably I’d have to scrape off the chips to plant and that mixed in soil with wasting good garden soil. So, I quit doing that too. Now I only put wood chips on my perennial beds in my food forest where I have established perennial plants including all 7 layers of planting. In the winter several years ago we had an unseasonable 60 hours of 5 degrees F, and I lost 5 trees. Then I re-watched portions of Paul’s movie and read up on it, and realized that I needed to insulate my root systems around the trees. So, this past year I put 1 foot deep wood chips around the base of all my fruit trees and covered many of my now leafless perennial plants. This spring 95% of my perennial smaller plants made it (except the lemon grass), and all my trees survived just fine. I also use a lot of chipped fine autumn leaves which I collect by the van load in the fall, use these bags of leaves to surround my nursery of unplanted trees, then fill up the spaces between and over the soil of the trees in pots. I lost a few of them but mostly they made it. I also used the bags of leaves along a long line of container garden bins on both sides, and they produced all through the winter with clear plastic over the top, kept supported by tomato cages laying on their sides along the row. I notice that in my food forest, where all the paths are deep in wood chips, many of the wild crafted medicinal herbs like plantain and wild geranium thrive right up out of the wood chips. I harvest or utilize these plants to make salves and ointments as they don’t seem to mind being stepped on. Well done, Diann, it certainly is a process, isn’t it? We switched over to this method as we cleaned up last fall. I was so worried that we did all of that work and it wasn’t going to turn out loads of veggies like in the past. We heavily rely on the food we grow (over 2,000sq ft of garden). I was surprised that the soil was not at all compacted under there as we pulled it back to inspect it this spring. The dirt was a beautiful rich color and just the right amount of moisture. The garlic we planted last fall is thriving! I hope your onions will do the same. We have onion in now and they need to get a little stronger. For now we just have a few of our cool season things going but right after mid-may we’ll be able to get our precious seedlings in. My nervousness has really subsided since I’ve joined a group on FB that is about this method. I’m looking forward to a great harvest. Yes, there’s something about that says it can’t be possible. A lot of landscapers pay fees to dump chips in a landfill. It’s so great that gardeners are putting the chips to good use! I just watched Paul;s videos for the first time and I am excited to use the wood chips in the garden this year. I watched a video from someone else and he loved Paul;s videos also, but had missed the part of the chicken poop. Paul uses that a lot in his garden also. It is supposed to be a combination of both. He said not to rely on the wood chips alone.Paul has the chickens so it is easier for him, I do not so I had some cow manure brought in. With that alone, I see a difference in the garden already. I am hoping with wood chips on top it gets even better. Expanded the garden, planting fruit trees, because the price of groceries just keep rising. I had a truckload full of wood chips dumped into my backyard three years ago. After year 2 I started using the decomposed wood chips into my garden as part of the compost fertilizer. Most vegetables did great — Napa cabbages, arugula., red and Georgia cabbages. Broccoli and salad greens. I use them sparingly though. Not as a ground over. I also found out my chickens love digging in the composted wood chips. They have lots of worms in them. I have a raised bed garden and used decomposed wood chips this year, yet lately I’ve noticed my tomato plants suffering from some type of fugus/ wilt. We have gotten tons of rain this spring/ summer in Iowa .The bottom leaves on the plant started getting yellow with brownish /black spots . I’ve read that you can spray the plants with 9 cups water mixed with 1 cup skim milk . Any ideas on what to do would be great . Thank you . Hi Joyce, fungal disease loves wet weather. That, and not the wood chips, is your problem. Fungal disease is a lot easier to prevent than to cure. I’ve had some success sprinkling my plants with corn meal, but haven’t tried milk. Neem oil may help as well. Hi! We have just begun incorporating Back to Eden into our garden in southeastern Illinois. We have several raised beds and room to expand our row crop plantings. Are there certain varieties of trees that should be avoided for use in the garden? Hi Jim, good question! I would avoid black walnut because the juglone it contains can inhibit growth. And I would use any evergreen sparingly. Way to go, Joyce!!! It’s always nice to have a win. 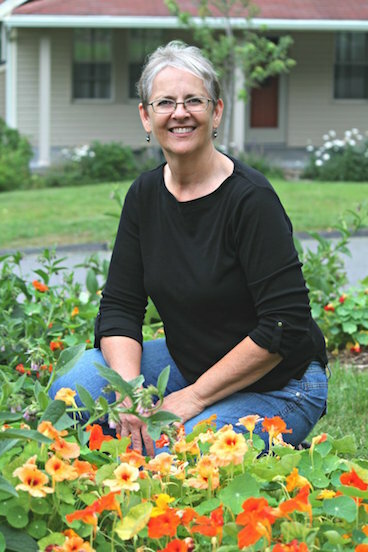 Thanks Susan , we will see how the summer fresh fruit and vegetables produce ! We used wood chips in our garden this year. We have a 1 acre market garden on the surface of the sun…. aka Texas. Only a month after putting down wood chips we have such nice black dirt that i could now throw a seed anywhere and it will grow. Wow, that’s really fantastic, Maria! I’m preparing a 2 acre organic vegetable farm market in Lackawanna County PA. I’ve collected over 8 tons of woodchips from the local tree cutting businesses and I’m spreading a thick layer across the ground for next years planting. Its hard work but I can’t think of a better soil conditioner than raw organic matter like leaves, woodchips and hay. This is a great website Susan, Thanks! Thanks so much, David. I’m so glad to hear what you are doing!!! My wife and I bought a fourteen arce farm three years ago. We have been using wood chips for our trails and are happy with some of the gardening we did last year with them. We are remodeling the house and adding on to make it handicapped accessable for us and our parents leaving little time for growing. Wood chips from the last two years that were placed on our road trails are now being gathered for beds and mulching around our fruit trees. The older chips do not heat up the root systems of the freshly planted saplings . We plan to continue this method. We have a section of black raspberries which we transplanted last fall mulched with the old chips and they are amazing. The fresh chips are great for our trails and placing along the wood lines to kill the weeds and invasive vines. The wood chips are such a wonderful resource. Your place sounds fantastic!!! One addtioal thing, withthe use of woodchips is the increase of worms. We are amazed at the numbers and the quality of the worms with in the chips. We were walking our dog tonight and she was playing on top of an old pile of chips . I walked up on top with her and just stepping on the pile for a brief time, I looked down and counted twelve worms rapidly moving around. Our ground here in southwestern PA is very dry due to the low rain fall this month. I only stepped on the pile. I did not kick or dig into it. If you have the room for wood chips, give them a try. I have and will continue to use them to my soil for our farm. I think wood chips in a garden are great, it adds a nice look to a flower bed and other areas. I would worry too about wood chips ruining the soil as they decompose. Glad to hear there is nothing to worry about. I did the ‘back to eden’ method in our previous home in S. California….of course I didn’t know then someone had a name for it. The area was degenerated granite (a sterile environment for growing) that needed a pick axe or a jack hammer to plant anything. When we mowed the lawn we put the grass clippings in a bag for a week…this killed any seed. Then we spread it around what we had planted and covered with wood chips. I found the smaller woodchips did a lot better. We had lovely green plants, colorful flowers and an apricot tree that would almost fall over when it was laden with fruit. And we were the only garden with loads of earthworms. Very well done, Caroline! Thank you for sharing! I do the same thing with the wood chips in my paths every few years, George! Been a raised bed gardener for 23 years and just learned about wood chips. Decided to rebuild my beds. Got rid of the landscaping timbers (yeah, I know now, toxic stuff) and replaced with untreated 2x12s, painted with exterior green latex. Amended the soil with more compost and will use a ~ 2″ layer of wood chips on top as mulch. Our treatment plant here in Springfield, MO also maintains a leaf recycle facility for leaves, grass and branches and brush. They have so much wood mulch piled up they are practically giving it away ($7 for two yards). The great thing is that these wood chips have been composting themselves for several years and are just the ticket for gardeners. I’m getting older and am tired of turning in fresh compost every two years! Gonna try the no till method with wood chips feeding the worms and let them do all the work! Wish me luck. Yay for you, Steve! You’ll have a great garden!!! I didn’t know about wood chip mulching last year when I started my first veggie garden. However, I had purchased a couple of bags of particularly chunky organic compost and instead of returning it, I sifted it then used the large pieces as mulch in a couple of areas, which worked well. Those areas are growing great this year too. I’ve also experimented with a hugelkultur bed (where limbs and logs are layered at the bottom of deep beds) and that bed seems to be doing the best of all at the moment. In beds where I didn’t sift the chunky compost things aren’t growing as quickly or as lush. They’re getting there but not like the others. Hoping the large bits decompose quickly and I’ll have better results next year. After reading the pros and cons of true wood mulch, I think I’ll skip it for now and keep reading the experiences of others. I may just keep sifting bags of compost and doing my mulching that way since it seems to be working for me. I have a market garden and we are currently looking at ways to keep the weeds suppressed between the rows. We can get free mulch from the city which is leaves, branches, christmas trees, etc. whatever they pick up. Our concern is that we know that there will no doubt be black walnut in the mix. We can choose from “newer” and “older” mulch. What we picked up today seems to be partially decomposed, the pile was steaming in the middle when they scooped out of it. Do you think the julone will be an issue? We also are possibly going to use hay on the actual beds as a mulch, just have to convince my husband that it won’t sprout a ton of weeds. Maggie, it is recommended that wood chips from black walnut trees be composted at least 6 months to break down the juglone that may affect plants. Here’s what I do to minimize the possibility of weeds in hay: https://learningandyearning.com/2012/04/02/using-hay-vs-straw-in-the-garden/. If you have a bobcat you should make compost using the hay. If you google shivansh fertilizer you’ll find a great instructional video for making the old permaculture favorite 18 day compost recipe. Hay, green manure crop and poo from any farm animal makes compost to die for. Then you cover it in wood chips ? This is my third year with wood chip gardening, I will never go back to tilling, watering and weeding. My carrots love it! I rake back a section for a row, plant the seeds and wait till the plants are tall enough to gently fill the row in with chips adding an inch or so at a time as they grow. Best thing is I leave them in the ground all winter long buried in at least 6″ of chips. I would go out in freezing weather and dig beautiful fresh carrots from beneath 6″ of snow! Amazing! Same with rutabagas and turnips. Be sure to mark your rows though, so you can find them in the snow. Thanks for the info. I too will be marking my plants before the snow flies. Much appreciated! How did Mike do with wood chip mulch around the onions last year? We cut down two large Bradford Pear trees a few months back, and I used a rented wood chipper to turn the entire trees into mulch. It’s been hot composting out back since then (Temp checked at 165 degrees 3 days after dumping the mulch!) and I’d love to mulch with it, but I don’t want to choke out my onions. We have heavy-ish silty clay loam soil, and my onions are about half out of the ground to make bulbing easier on them. The bulbs are already very nice sized, but weeds are a definite problem. If I pull anything that’s too close to a bulb, the bulb itself is disturbed due to how shallow they are. Aaron, the onions just do not seem to like the wood chips. We’ve tried them a few times and the onions just don’t grow to any size. Wood chips can be awesome and it sounds like you have a treasure on your hands, but I’d use them elsewhere. Wow, thanks for the quick response. This is only my second year with a garden (second year in a real house in the country! ), so I’m relying on the voice of experience to help guide me, and this was a big help. So many people say that wood chip mulch is only good around flowers and trees, which just didn’t make sense to me. We’ve got a row of raspberry canes coming up that I’m sure would love it. There’s just so much, I’m anxious to see what all could benefit from it! If you haven’t watched the documentary, Back to Eden, be sure that you do. It’s available to watch for free online. I’m finding the same thing with my onions. I left some in the seed trays because I ran out of room to plant them and they grew bigger than the ones in the garden. What do you use to mulch your onions with? I companion plant them with carrots, garlic, leeks and beetroot. The carrots and beetroot do great under wood chips but nothing in the allium family seems to be doing well. I particularly like using grass clippings to mulch onions because they are so easy to spread around the fairly closely planted onions. I’ve used hay, too, but it’s not as easy as the grass clippings. Is it important what kind of tree are you using preparing the mulch? I have a lot of pine tree branches and needles and fir tree bark to use. Mayby I should mix it witch some other material? p.s. Thanke you for sharing your knowledge! This entry helped me a lot. Great question, Paula. I would stay away from using chips from evergreen trees and also black walnut. Can you use wood shavings from sycamore and oak trees for bedding on established tomato and pepper plants ? We are currently splitting these types of trees and have to cut the chunks in half to put into the splinter. When cross cutting against the grain of the wood it produces long fluffy shavings. So far the only thing that I have used them for is our blueberry bushes. Yes, Earl, the wood shavings would work as a mulch for your vegetables. Just don’t pile it on – 2″ should be enough. Been using wood chips over horse manure and grass clippings for over 20 years in my 1 acre garden.–didn’t think the process was that unique. Always get beautiful tomatoes , squash and pumpkins here in central IL. I till every 2 years. For those that have a problem planting thru deep mulch, simply make a trench or hole in the mulch and fill with soil–then plant seeds or seedlings and water. Roots will grow down into undisturbed soil and also into mulch. I like to buy bags of cheap ($1.37) topsoil from the big box boys for this purpose. I must add that most of my triple ground mulch (which is free from several city municipal centers) I hoard by the mountainfull and is at least a year old before spreading (unless used in paths). Hi Vincent, you will not be able to grow in wood chips alone. A base of soil, compost, and well rotted manure is needed. The wood chips are the top layer only. As they decompose they will nourish the soil, but until then they are a mulch to keep in moisture. The best wood chips are those that also contain small branches and leaves. Last fall I put onto my existing garden (in central Alberta) a bunch of garden clippings, leaves, straw, a bit of composted lamb manure, shovelfuls of garden mix, and top soil and then at least 6″ of fresh wood chips. I think I overdid the wood chips. It was really hard to move them to plant. The soil was too cold. Germination wasn’t great, what did grow got eaten up by slugs and I’ve also seen little grasshoppers all over. We’ve had a wet summer and there are mushrooms growing here and there. Just one row of peas might yield a couple pods. Did slugs come in with the wood chips? I’ve never had a problem with slugs before. What do you do for slugs and grasshoppers? The potatoes plants are small and quit growing; also everything is pale green; should be darker green. It’s very discouraging because it took a LOT of work to create this ‘eden’. Hi Karen! Yes, 6″ is way too much. 2 – 3″ is more than enough. The mushrooms are a sign of decomposition and are not a problem. The excessive wood chips caused a nitrogen deficiency which is why everything is pale green. Add blood meal and remove some chips if possible. For the slugs try iron phosphate (http://amzn.to/29EQzC8). The good news is that by next year, much of the chips will have decomposed and all should be well. Thanks. How about diatomacious earth for slugs? Also, I was thinking of making a big wooden compost bin beside the garden. The lawn is right beside the garden. So, if I lay down 6 sheets of newspaper as a ‘floor’ in the compost bin, then put a couple inches of composted horse manure on the paper, and then put all my excess wood chips on top of the manure, wouldn’t that eventually translate into a new garden area? I could also put my vegetable scraps, egg shells, etc. into the bin. What do you think of this idea? Also spent coffee grinds from your favourite cafe will send slugs packing. I’ve heard they’re leathal to them. Don’t know about that but I have a slug infested area in my garden that I sheild plants from them with coffee grinds. I have used diatomacious earth for slugs, but it is not nearly as effective as the iron phosphate. Yes, the wood chips would eventually decompose in that bin. I got some chips from a local power line cleaning company several years ago. They cut trees, limbs and such from under and around the power lines and put them through a wood chipper. Then they would bring them and dump then in my garden. I used a tractor with a bucket to push them into a very large pile. It was around 40 loads of it. The pile was as big as a house and averaged about 8′ tall or so. My garden is about a half acre and it covered a good 20 to 25% of it. I let the pile sit there that summer and all winter. I was watching the temps. When it started to cool down, it was time to spread. In the spring I pushed it all out into the garden somewhere around 6″ thick. I then used a two gang turning plow to fold it under. I added some nitrogen to the pile while it was composting but I also added some more after I folded it under. I let that sit for a couple months. At this point, I used the plow to turn the soil over again. This made sure it was pretty well mixed. Giving it a closer inspection with a shovel and a little random digging, the soil was really soft and it just smelled “earthy” which this soil usually doesn’t smell that way. I have heavy clay soil here. If I recall correctly, I don’t think I planted a garden that year. I think it was the following summer that I planted. The fall after I spread and plowed the chips under, I did a soil test and made the adjustments it showed was needed. I do soil tests fairly regular. I also pushed a small pile over next to the woods. It was around 4′ tall and around 6′ x 20′. It has been slowly composting some more. I let that sit until a year or so ago. I spread it out a bit and have been running the disc over it which spread it a bit more. It has made the soil very dark and the tree roots have found that good rich soil. It’s difficult to dig in with a shovel due to all the roots but it sure looks good. I haven’t tried to grow any veggies or anything since it doesn’t get much sun but suspect it would grow some serious plants if it was in a sunny area. I think tomatoes and peppers would really enjoy that. The biggest thing, before you plant, do a soil test. The wood chips can make the Ph of your soil change and change other things as well. The soil test will show what changes were made and what you do to do to correct it. Then you can plant and not risk losing your plants. I was getting gas earlier and saw a guy working for the same company again. I’m hoping to get a couple more loads of mulch. It sounds like they chip them in place now so I may not get much. They have a little Bobcat looking thing with what acts like a heavy duty tiller. It chops up all the limbs and small stuff which leaves little else to put in the larger chipper. Just thought I would share what I did. I really appreciate your input!!! I made some ‘grass tea’. Packed cut grass into a plastic bin; added water. Let it sit for 3 days. It doesn’t smell putrid but has a sharp smell. Should I use this on my garden? If not, would it be a good idea to dump it on a pile of wood chips I have? Would the ‘tea’ help break down the wood chips? What about the grass that’s been soaking? Not sure what to do with this concoction that smells acrid, but not putrid. I don’t have experience with grass tea, but I don’t see any reason not to add both it and the grass to your wood chip pile. Thank you for the details post from last year. I started my garden with soil pep and will be using wood chips this year. We have a free source at the local treatment plant. I watched a youtube video from oneyardrevolution. He has been using wood mulch for over 8 years. He mentioned he creates a rowb y moving back the mulch and puts compost in the hole for seeds. Seems like that would be a good solution to many of the problems folks talk about. Also, I have heard that onions need a bunch of nitrogen. Since they grow near the surface, this may be your issue. A compost tea from fresh greens may help put that nitrogen back in around the surface. Either way, I enjoyed the detailed post on your successes and errors with wood mulch. Thanks, Jason. Yes, compost in the planting hole is a good idea. Sorry if this is a repeat question but this is a long thread of Q&A. Does wood chip Volcanoes around fruit trees cause an Issue? I’ve done so recently and suspect it will do more harm than good? Bringing fungal issues to the stem? Hi Shane, you are correct – that is a very damaging practice. See my post on that specific topic: https://learningandyearning.com/are-you-killing-your-trees-with-mulch. Since watching BTE and discovering our free city woodchip pile near my work, I’ve been hauling 1/4 yard of random woodchips(preferably chips that have green in them) per day for the last 3 months .I have been slowly creating 5 inch garden beds on my front, back and side grass yards that haven’t been watered for months. I use scalloped brick/paver stones to create a sturdy border that can easily be adjusted and moved back as I enlarg the beds. On my days off, I’ll stop at the the local starbucks and get their coffee grounds and mix it with leaves on which I put the chips on. Being in Southern Calif, I know that likely it’ll take a least a year if not many years to get really great soil, but that hasn’t stopped me from buying random clearance shrubs/plants from home depot to do trial/error. I can’t say I’ve planted them in soil but I’ve planted them in the early decomposing material at the subsoil level. My anecdotal results are this: Geranium, Iberis and Lantana have absolutely exploded. It’s like it’s spring time for them. Salvia and Hydrangea’s flowers have withered but their leaves look strong. My two chrysanthemums are dead. Sounds like things are doing well for the most part. You’re quite correct that as the chips decompose, things will only get better. In your part of the country the water holding capacity of the chips is a big plus. Dead tree, cut down made firewood. The bark about 2in deep so dead it just crumble in hand to nothing and fly away when wind blows. Took all the dead bark and ran through my wood chipper. How long should that sit before it’s considered compost? Sha, I would suggest adding a nitrogen source like blood meal, or even coffee grounds. Turn the pile every month or so, and by next year you should have compost. see http://www.allotment-ideas.co.uk/wood-chip-sock for a managed way to use wood chips as a structuring tool to create & support raised bed vegetable growing on the cheap. And will last a couple of seasons. That’s a very creative solution! Thanks for sharing. Nice website Susan perhaps you should a have a news / chronologically ordered posts section on the home page ? Or your “my top 20 tips” with links to the pages for more detail. I didn’t realize that it is recommended to layer a few inches of compost on top of newspaper, and then a few inches of wood chips on top of that. It makes sense why this would be good to make sure that everything grows healthy and strong. My mom likes to plant a flower and vegetable garden each spring. I’ll have to talk to her to see if she has tried this method. I cleared our back yard of weedy lawn and to prepare for raised beds the following summer (this coming summer 2107) I had a local arborist drop off about 4 yards of wood chips. Unfortunately, I didn’t think to request no evergreen. Almost the entire load is evergreen, cedar and fir, I think. Once it was dropped off, I couldn’t exactly ask them to take it back! I put about 3-4 inches over the entire yard last summer, just to keep weeds down, and left the rest to compost. My plan is to spread the rest and put raised beds on top. If I put at least 12 inches of fresh soil, do you think it’ll be ok? The soil mix I’m using is from a local company and according to their website contains worm castings, mycorrhizal fungi, mineral dust, topsoil, fruit and veggie compost, dairy manure compost, mushroom compost, river sand and horticultural pumice. Maybe I should add blood meal? Hoping this will work as I nowhere else to put the chips! It’s really hard to answer your question, Carla. Yes, blood meal would help the chips to decompose more quickly and that’s what you’re looking for. If you go forward with your plan, I would keep the chips to a minimum – maybe 2″. And then put as much good soil as you can on top. After watching Back to Eden 3 years ago, I mulched my garden with 30 yards of woodchips, and it has been pathetic ever since (with the exception of Kale and Collards). I think I may have mulched a little too deeply ~4 inches. It doesn’t seem to have decomposed at all and my soil beneath the mulch is still hard clay. Paul says the soil will be rich and black within a few months of mulching… Well it’s been 3 years and I don’t see any noticeable improvement in soil quality. I’m tempted to scrape the woodchips off my vegetable garden this year. Am I just being impatient, or am I doing something wrong? Hi Shawn, are you in a dry climate? The chips need moisture in order to decompose. That is the only thing that I can think of that would be preventing your chips from decomposing. Thanks for the reply Susan. Yes I live in Utah, which gets very little moisture in the Summer/Fall. I’ve been using a drip system to irrigate, which means most of the wood chips see very little moisture during the growing season. However, I went out this morning to look at the soil (for the first time this year), and it appears things have decomposed a lot more than I realized. We had a really wet winter (much wetter than usual), so maybe that helped. I always thought decomposition was really slow during winter months, but maybe the wood chips insulated the soil enough to keep the microbes active? My soil samples were loaded with worm holes and aggregates, and generally had a rich blackish color. It just took a lot longer than I had expected. I’m so happy right now! Would you suggest irrigating with overhead sprinklers? I would love to speed up the rate at which my garden makes humus. That’s a hard question to answer – your plants will do better with drip irrigation than with overhead sprinklers, but the wood chips need moisture to decompose. Perhaps you can do you best to keep the wood chips wet during the off season, and use the drip irrigation to water your plants. I hope that helps. I would scrape them off, put horse poo down, cover it with grass clippings and then spread the woodchips back on top. They do need moisture but also the green to brown ratio needs to be right. Some woodchips don’t have enough green (leaves) in them. Mulched yard waste definitely works best. Mixing grass clippings in with them can improve things. Are wood chips from certain trees better than others? Hi Amy, good question. Stay away from walnut and I prefer deciduous trees to evergreens. It’s best if you can get ramial wood chips – that includes small branches and fresh leaves. Thanks for this well written article . I have put out 14 yards of wood chips in my 7000 sqft city property in Seattle just to help eliminate the grass growth when I stumbled onto Back to Eden. I have heard lots of good things about wood chips, and also found out that the mushroom spore dust in the wood chip made me sick ( Now I wear a mask ) when pitch forking it on my property. The rest of your article was very informative. Thanks for this!! The mushrooms help to break down the wood chips; I’m so sorry to hear that you are reacting to them. Hopefully, that will pass quickly. Just an URGENT warning about using hay for mulch! I have horses and made lovely looking compost with horse/hay manure and also used horse hay for mulch. Each year my garden was less productive and my tomatoes in particular were looking ill. I finally figured out that the beautiful, weed free hay I had bought was grown on hay fields where the herbicide “Grazon” was sprayed! Tomatoes are particularly affected by this herbicide and the leaves will curl up into little fists! This herbicide does not degrade quickly and ruined my organic garden. I was so discouraged that I now have a much smaller 10’X20′ garden in my yard where the soil is un-ruined. That is incredibly sad, Linda and a good warning. Yes, I do always ask if anything has been sprayed on the fields before getting hay. I have recently been introduced to the Back to Eden idea of using wood chips and chicken manure layered on my raised garden beds. I have a dump truck load scheduled to come with fresh wood chips. I live in Alaska so winter will soon be upon us. So my question is should I put the chips and chicken poop on after I harvest the garden or wait until spring? Will it decompose under the snow? My soil definitely needs some improvement as it wasn’t very good to begin with so wanted to try this method and see if it helps. Also with the chicken poop which I haven’t used before, can you give me in tips on using that? Hi Sandra, I highly recommend spreading the manure and the wood chips this fall (or late summer). Yes, the decomposition will begin over the winter. Just be sure to not overdo it on the wood chips. Use no more than 4″. Here’s a post on using manure: https://learningandyearning.com/using-manure-in-your-garden. Best wishes to you! I live on the Front Range of Colorado (high plains dessert) – so very little rain. We laid a woodchip garden down in February or March of 2016, so I didn’t expect much from my mulch garden. (and got very little out of my garden). I had much greater hopes for my garden this year. I was very disappointed in the results. The chips are breaking down nicely, but the things that did grow was very sporadic and slow in growth. The only thing that grew well was bindweed and thistle. (All vine plants were small, yellow, and produced little to no fruit, Corn came up sporadic and produced no fruit. Beans are finally starting to produce – picked my first crop this week. Many things didn’t even attempt to grow. We have just gotten some aged horse manure. Would it help to spread on top of the wood chips? Any suggestions other than scraping the woodchips and going back to regular gardening methods? Hi Miriam, how disappointing! It sounds like your garden did not have enough nitrogen. Did you add blood meal, or manure before you put down the wood chips? Regardless, yes, I would add the manure on top of the chips. If you have compost, I would add that along with the manure. This should help a lot for next year, but then you will again need some mulch on top to keep down weeds and hold in moisture. I had grass in my front yard and decided to get rid of it and have flowers and vegetables. A friend told me about lasagna gardening. I put cardboard on my grass and then did a layer of horse shavings and then dead grass clippings. I’m wondering if my next step would be manure and then leaves and then wood chips . Debbie, you need a layer of compost just below the wood chips – this is where you will plant your seeds and seedlings. 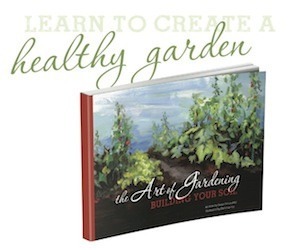 This post may help as well: https://learningandyearning.com/lasagna-gardening. I live in subtropical Australia on the Gold Coast. We have hard clay soil and lots of rain so it makes sense to garden on top of the ground. My first back to eden garden was formed on a cubic meter of topsoil from the garden center for $80 mulched with another $50 worth of forrest mulch. This made a garden of about 5 square metres. It’s doing great but it needs watering quite regularly. Not wanting to spend $130 for each 5 meter section of my garden I hitched up the trailer and visited a property with polo horses on it. I scratched back the top layer of the muck pit and filled the trailer of the dark crumbly stuff on the bottom of the pile. I started mowing lawns so I could get heaps of grass clippings and when the neighbors over the road had a couple of trees cut down I pounced on the arborist and got 12 cubes of chips. I put down the decomposed horse muck first then the grass clippings and covered it all with the wood chips. Everything is doing beautifully (accept the alliums) and has done for two seasons. The clay below the things I added has completely changed to a friable black incredible looking humus to about a spades depth below the surface. The roots of everything are massive. Wood chips are great, I think they bring alot of insects and worms, microbes, fungi etc that enhance the humus building capability of the soil beneath. You do really need the fresh organic matter though. Wood chips alone are never enough. I’ve made all the paths wood chips and changed the chicken run to a deep bed system filled with wood chips. I plan to use this as my compost for next year and put fresh chips on the paths and in the chicken run every year. I’m also using wood chips as the main carbon input in my compost system because I love the way they decompose in to light fluffy humus that was phenomenally successful as a seed propogation mix. Hi Susan, I’ve just discovered this dialog and really appreciate the information you’ve provided!.. it has me finally facing that the fresh 2″ if wood chip we’ve added has stunted our gardens growth. We did plant in amazing soil and a nice compost with the chip on top, so we’re certain there wouldn’t be a problem but here it is and couple of weeks after everything is in the ground and they’ve barely grown. We’re in Alberta and we have a pretty short season but I think I can still save it if we act now. I hear bone meal loud and clear now and wonder how you’d go about applying it – just pull back the mulch from the plants , add meal, maybe more soil and then top again with the chip? Hi Lyn, I wouldn’t add bone meal, but rather blood meal. Just push the chips away from each plant and sprinkle a Tablespoon of blood meal around the plant. Don’t push the chips back around the plants until your plants get some good growth. If your soil is still cool, the mulch may be keeping it cool and that may actually be the problem and not lack of nitrogen. But use the blood meal just in case. You are very welcome. I felt certain you meant blood meal but in case anyone else was reading for help, I wanted to clarify. ( layered on top of the soil) with leaves. For years i have done this with tremendous results, in every way , and especially noticable to other people in the taste of the vegetables and how prolific they grew. But soil has to be warmed for plants to germinate and so i would bare the soil some when planting, and that was how i was taught by a man whom grew this way for over 40 years, and his garden is simply too wonderful to describe, but just as Paul’s and how you described yours too, but he had to put leaves on quite often at the first, and i found this to be true as well. Leaves basically break down in one year for the most part same for straw. But the results are still the same and over time you do put less and less on to some degree. However with wood chips i believe it will be way less. Either way, thanks for sharing the truth of your experiences. It has helped reinforce to me thatbit all works, just like he said it does. The Lord showed me in prayer to use wood chips like Paul and thatbit was all true what he showed, and brought to me thatbi was to add a layer of leaves about a foot thick before adding my chips over that. So thats what i am going to do. I am most excited to use the chips!! The Lord also showed me in spirit that the most important thing of Paul’s videos, other than they were true, was that a man came to Him ( God) and asked. That is what the Lord showed me to be the most important thing here. Which I do. I ask God about everything so as to find the truth and my way in all things. And it is the best. Just as Paul gets so excited and says over and over, it is all there free for us, just ask !! He will show you! So i just encourage everyone to begin in prayer and ask God to show them, to make known to them how to proceed, or what is true, not only in the garden, but in everything! He really wants to be with us and speak to us and guide us in all things, all tuth. And so much more! Thanks again for the nice article. It is very edifying and helpful to hear of your a tual experiences. Thank you for stopping by, Brian! Thank you so much. I am starting a 1/4 acre mini dye farm and I’m considering mulching most of it with wood chips. One crop will need a black mulch fabric but the rest I wanted something more economical. I can possibly get wood mulch for free but worse case its 140$ for 12 cubic yards delivered. So I’m thinking of paying for a few loads when I need them in the spring but then trying to get some free loads through the summer. I cant wait for spring. If you anticipate that you will have a lot of brush or branches on your own property to take care of you may want to invest in a portable wood chipper. That’s what we did and we’re able to make some of our own chips as well. We lived in Central FL for 2 years. My second year, I decided to experiment by growing pumpkins, herbs, and annual flowers in our Jungle-semi-cleared forest. We had 2 hurricanes that leveled many of our trees and the canopy. But because it was forested for many years, you can imagine the floor of the garden space. I was able to grow the most amazing and largest herbs- borage especially, in that garden. Pumpkins took off like crazy. And we’re talking heirlooms that are for northern climates. Pumpkins and Florida are not friends. They were in this garden!!! The ground was the richest and easiest dirt to dig in. The rest of the yard was nothing but grey sand under the grass or weeds. But the forest floor was a very happy place for all of those plants. So I have to say thanks! Because I was actually being swayed away from BTE for this new garden here in the upper midwest. I have a source of free wood chips, ill have to use raw this first year. With some hay/straw being available but it’s pricey right now. We have 5 acres with 3 being former crop lands and while the dirt is not devoid of topsoil, I’m sure it’s nutrient deficient. Thanks for the suggestion about the blood and bone meals. I was thinking about using lava sands but the blood meal might be easier for me to buy in larger quantities. Thank you so much for relating your experience! Just keep in mind that chips do not decompose as quickly as some other forms of mulch so you may not see the results you are looking for immediately.